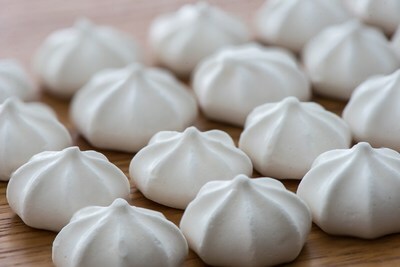 Lampados International, Ltd. is completing a new plant expansion for the production of Liteez®-a vegan, egg-free 3D meringue kiss sweetener for hot drinks. The larger facility will allow the company to meet the rapidly growing demand. The facility will produce 8,000 retail packages per day in the first stage, and will double production within a few months. The company invested more than US$500 thousand to increase production of the sweetener, which is available as either a stevia- or sucralose-based product. The plant is BRC- and kosher-certificated to meet food manufactures', retailers', and consumers' highest standards of requirement. "Production is now fully automated and modular, to allow maximum flexibility for increasing capacity as well as creating additional, customized sweeteners," says Noam Kaplan, CEO of Lampados. The new Lampados sweetener delivery system, designed like a meringue kiss, is egg-free, and vegan, without compromising on flavor. Two Liteez contain only two calories, versus 20 calories in one teaspoon of table sugar. "Put just two meringue kisses in your coffee, stir, and drink. Or, eat them as a sweet treat," says Kaplan. Action on Sugar reported that its experts analyzed 131 hot flavored drinks, including coffees, mochas, lattes, hot fruit drinks, and hot chocolates, among other drinks that are widely bought from some of the UK's best-known coffee shops and fast-food chains. "The demand for our 3D sweetener has grown extensively in Australia, India, South Africa, Europe and Central America," adds Kaplan. "Most of our clients are seeking to expand their portfolio with innovative sweeteners and/or cookies, and are keen to launch a next-gen sweetener that will give them a competitive edge in the market. Customers from the food service market commented that they were impressed by the innovation and the sensation experience reported by their consumers."